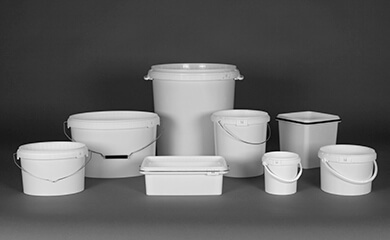 We are experts in developing, producing and selling rigid plastic packaging products such as buckets, bowls, tubs, cans, stackable containers, cartridges, nozzles, plungers, closures, valve protection and functional caps. 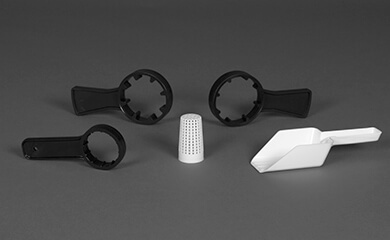 They are made from polypropylene or polyethylene in an injection moulding or extrusion process and can be refined with various decorative processes. Approx. 4 million standardised and custom packaging products are produced and delivered just in time every day. The group of companies offers more than 330 standard packaging products in more than 7,000 variations in harmonious series of articles. 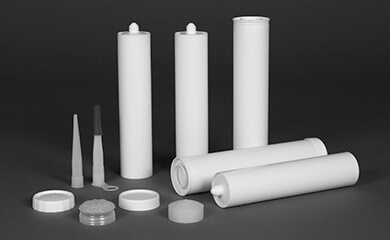 Supplemented by various custom packaging solutions, we are offering one of the industry's most comprehensive and innovative plastic packaging product portfolios. Our products feature all of the technical, hygienic and optical requirements that allow them to function optimally in automated filling and logistics processes as well as at the point of sale and when they reach consumers. 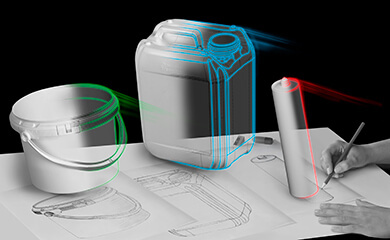 Whenever somebody is interested in custom solutions for packaging or new ways of packaging, we stand ready to put to use the expertise that we have gained from 60 years of packaging development. 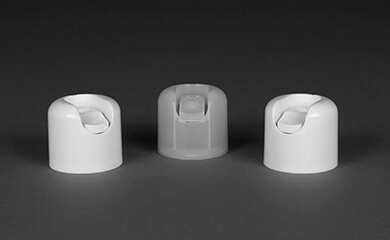 We are an innovative and value-oriented group of family companies in the packaging industry. Our companies SAIER VERPACKUNGSTECHNIK, GFV VERSCHLUSSTECHNIK, E+E VERPACKUNGSTECHNIK and SAIER MANAGEMENT employ approximately 400 people and have each specialised in the production of different plastic packaging products with the associated production, decoration, logistics and service processes. 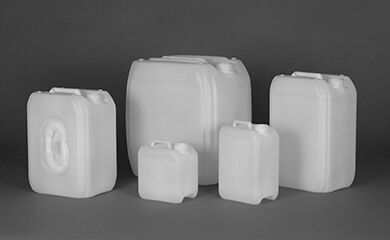 We are among the major providers of plastic packaging in Germany and in Europe. Our customers from the foodstuff, cleaning, construction and building components supply, chemical, pharmaceutical, cosmetic, medical and automotive supply sectors not only benefit from the comprehensive expertise of the individual companies but also from the option of allowing us to develop cross-company and inter-process packaging solutions. Our companies are known for sustainable process designs and their continuous further development, as well as for their uncompromising focus on the latest production technologies and processes and the highest hygiene standards. A concise summary of the group is available below. The products of our customers fulfill important functions in everyday life, regardless of whether they provide food, stick together, insulate, clean, drive, heal, fertilise, beautify, grease or seal. Millions of people depend on their reliability and quality. With our packaging, we are a constant companion of the products of our customers – from the point of filling to the end of use. Not just because of that fact is our work immanently characterised by partnership. 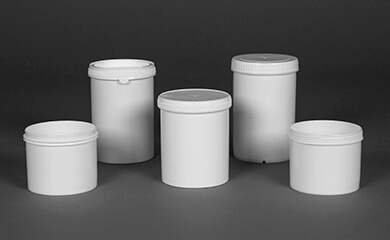 We have made it our mission to retain the product characteristics of the products of our customers with innovative packaging products, to promote them and to ensure that they are safely stored until they have been used completely. We pursue this mission with great passion in all areas – from the sustainable use of resources, product design, our production, decoration and logistics processes up to the service of our employees. It is our goal to maintain and further develop the high quality of our products and processes, which will be reflected in the permanent and complete satisfaction of our customers. All companies of the SAIER GROUP process nearly 100% of their production-related plastic waste at all times and use it in selected production processes. As a result, our companies produce nearly no external plastic waste – on the contrary: in recent years, recycled and post-consumer materials have been purchased for suitable non-food products. We were among the first in the industry to recognise the need to manufacture packaging products with as few resources as possible and to continue developing their geometry with regard to saving space for all warehouse and logistics situations. Our improvement routines are implemented via enormous and continuous investments in state-of-the-art, energy-efficient production and building technologies. As a result, we have continuously reduced our energy consumption and used fewer resources for years. The result of our practised sustainability policy is that our products are known for their exemplary carbon footprint. A focus on sustainable management and environmental protection also means that the SAIER GROUP avoids waste in other areas as well. We conduct nearly all business processes, such as offers, orders, order confirmations, release orders or invoice orders without using paper. To confirm these statements, we have positively completed the DIN ISO 50001 (Energy management) and DIN ISO 14001 (Environmental management) certifications. We are proud to protect the environment with our packaging by ensuring that the shelf lives of the consumer goods that fill it will be improved significantly compared to suboptimal packaging. By preventing a larger quantity of consumer goods with a shorter shelf life needing to be produced, the environment is burdened with a significantly smaller carbon footprint as a result. The following video will illustrate these correlations. Company foundation. Initially, technical parts, billboards and buckets were produced via the enamelling process. Under the company name Kunststoffwerk Eugen Saier, a first step into plastics processing was made. Foundation of what is now E+E VERPACKUNGSTECHNIK for the production of extrusion blow-moulded plastic packaging. 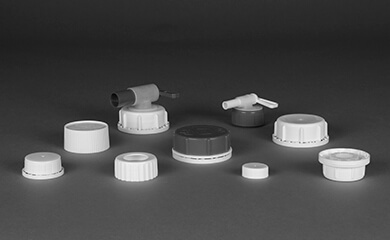 Conversion of production from workshop production with a wide product range to automated industrial production specifically for rigid plastic packaging. 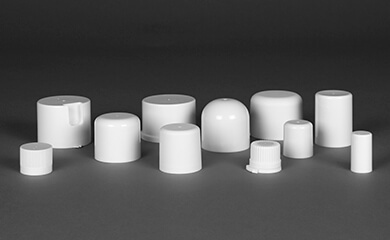 Foundation of GFV VERSCHLUSSTECHNIK, which has specialised in the production of small, injection-moulded packaging parts, such as closures, aerosol protective caps or cartridges right from the beginning. The location in Peterzell encompasses more than 40,000 m2 of covered floor space. The location in Jettingen encompasses more than 15,000 m2 of covered floor space. Sophisticated quality, hygiene, environmental and energy management systems aren't novelties in our processes, but rather a norm we are practising every day. Feel free to download the respective certifications below as proof of our statements. As a family owned company, we feel connected to the regions of our production sites. That is why we regularly contribute to the best of our abilities to support the development and preservation of local institutions and clubs.